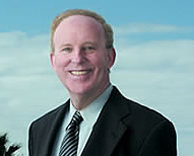 Trained in Medicine at the Johns Hopkins Medical School, on the William Osler Medical Service and at the University of California, San Francisco Medical Center, Dr. Scheele became board certified in Internal Medicine and launched a successful multivalent career spanning basic research to drug development in several clinical disciplines. In Dr. Scheele's own words, this website explains the biological and medical discoveries that have resulted from his achievements in the medical and health-care professions. Trained in the laboratory of George E. Palade at the Rockefeller University, Dr. Scheele's 35 year career in basic research gave rise to bold new methods that resulted in numerous discoveries related to 21 projects in biological and medical research. Here Dr. Scheele explains his role in the seminal discoveries that resulted in scientific work honored in Nobel prizes awarded in Medicine in 1974 and 1999 as well as recent work that has elucidated the ultimate biochemical deficiency in Cystic Fibrosis. Noting the importance of invention of new technologies in providing opportunities to make "quantum leaps" in scientific discovery, Dr. Scheele describes the four non-patented and seven patented inventions that have enabled his laboratory to make breakthrough discoveries in the fields of (i) protein sorting and trafficking, (ii) regulated secretion, (iii) regulation of gene expression in pancreatic adaptation, (iv) synthesis of full-length genes (cDNAs) and (v) potential treatment of pulmonary diseases including Cystic Fibrosis. Fascinated by the "power of the written word" to "communicate new ideas in strong and powerful ways", Dr. Scheele has successfully published 110 scientific papers and book chapters, 7 patent applications (4 issued and 3 pending) and 3 books. His most recent book discusses the scientific basis of anti-aging skin care. In order to bridge the gap between medical discoveries in basic research and drug development that impacts on individuals suffering from disease, Dr. Scheele gives the rationale for founding four commercial companies and one nonprofit Institute in the health-care field. Explains Dr. Scheele, "Each of these companies is strategically positioned to attack major unmet needs in the health-care industry." They are (i) La Jolla Biosciences, LLC, an in-licensing and out-licensing intellectual property firm, (ii) Viral Shield Pharmaceuticals, Inc., focused on the development of broad spectrum topical viricidal compounds for the prevention and early treatment of envelope viruses, including Herpes Simplex, HIV, HTLV, Hepatitis B & C, influenza, Respiratory Syncitial and Pox viruses, (iii) AlphaGene, Inc. , which has applied genomics and proteomics technologies to neurological diseases, including Alzheimer's disease, Parkinson's disease, temporal lobe epilepsy and cancer and (iv) NovaLife, Inc., a health-care company focused on the elucidation and treatment of obesity, type 2 diabetes and the Metabolic Syndrome.